Our bees are selected for mite resistance. We raise queens to head new colonies and nucs from the most mite resistant, productive, and easy to work colonies that we have. Our bees are derived from VSH Carniolan, Russian, and local stock. In addition, there are many Italian type queens in the local population. The end result is that our bees are mutts. Virgin queens will mate with approximately 10 to 20 drones in our local area. Because of this, each colony has a combination of many traits that are derived from the drones' and the queen's heritage. All our locally raised queens are open mated at our mating yards in the Blacksburg, VA area. As a way to add diversity, we occasionally bring in queens from beekeepers that share our beekeeping philosophies. In addition, honey production is an important part of sustaining our beekeeping operation. Colonies that can not produce large enough populations to produce excess honey do not survive in the wild. Because of this critical characteristic of the honey bee, we strive to keep strong productive colonies. The best of these will be included in our breeding program. Genetically, our bees include VSH Carniolans from several sources (including Mike Palmer, Glenn, VP Queens, John Harbo, and Jeff Harris), several sources of Russian and hybrid Russian (Sam Comfort, Charles Walter, Chris Hewitt, and Kirk Webster), and several families of local bees. Our local bees come from swarms caught "on the limb", cutouts from structures, or in our bait hives. Many of these have been very prolific, and good survivors. The Carniolan and some of the Russian queens tend to be darker colored, and the locals tend to be more yellow. 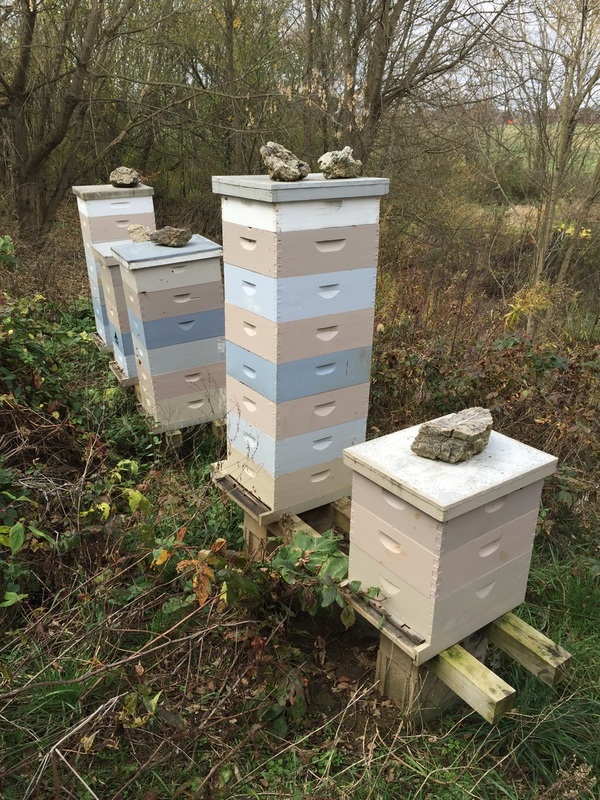 In the spring of 2016 we had 18 different sources of bees represented in our production colonies and nucs. We raise queens from the colonies that show the best characteristics of survivability, honey production, and gentle temperament. 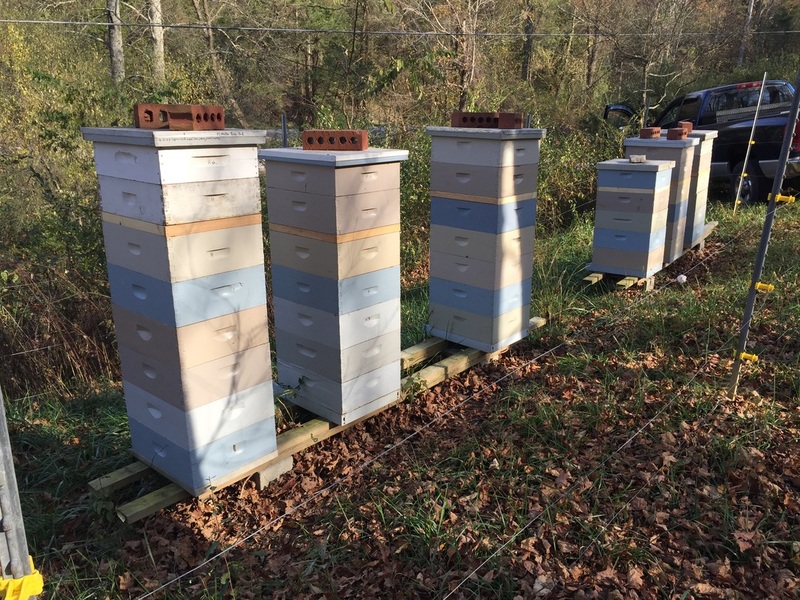 In July 2017 we had 88 production colonies and 177 nucs to select from. A very productive Carniolan queen.